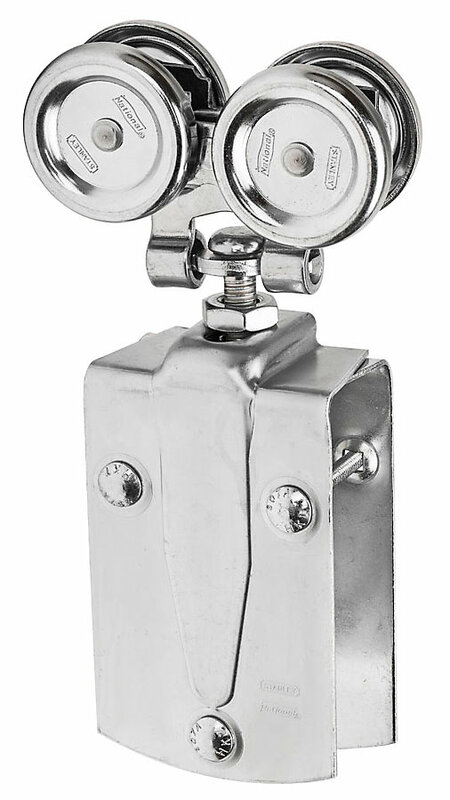 National N183-905 Box Rail Hanger - Zinc Plated (5047). 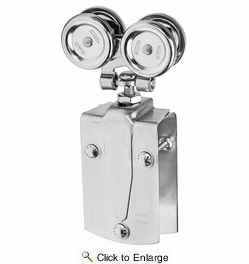 Designed for use with box rail on wood-frame sliding doors from 1-1/2" to 2" thick. For use with #5114 and #5116 box rail. Packed with bolts for attaching door straps. 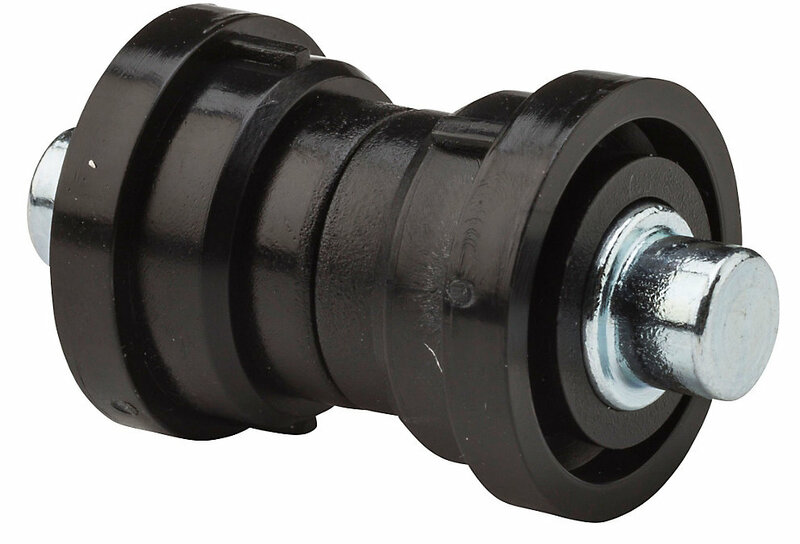 Durable one piece, precision formed steel. 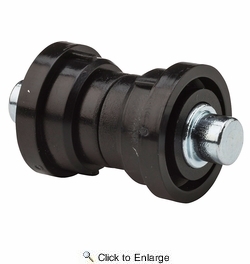 Comes with self-lubricating Delrin bearings. Double door strap has opposing holes for bolt mounting. Safe Working Load - 225 lb. per hanger.